Ben & Alessa met at Social Media Day at Fergs Live on 6/30/15 and felt an instant connection. That night they sat outside at what they now refer to as "the dock" for hours chatting about their lives and future ambitions. 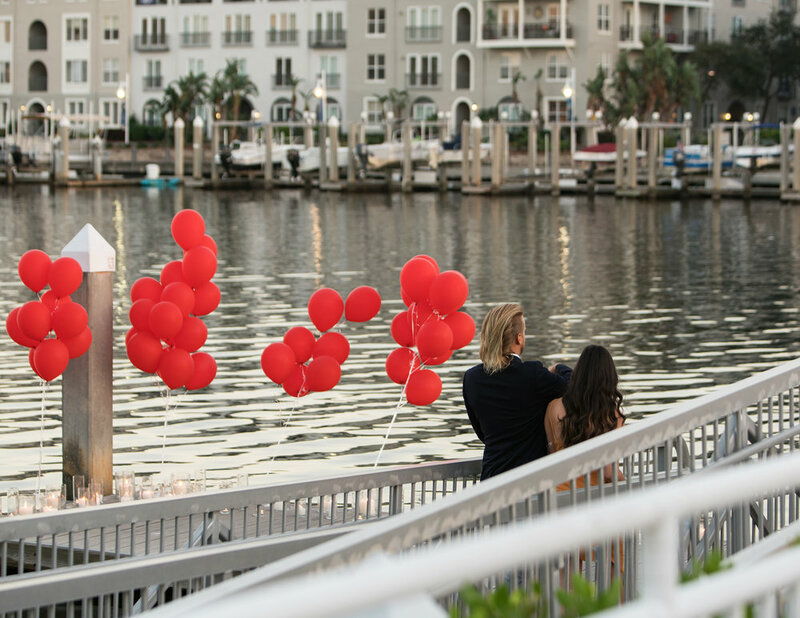 The night that Ben & Alessa met a red balloon from the event became a symbol they frequently used to represent their relationship and love. Fast forward two years to Sunday November 12th when Ben told me he wanted to propose to Alessa in only 4 days and needed my help to pull his thoughts and vision together. 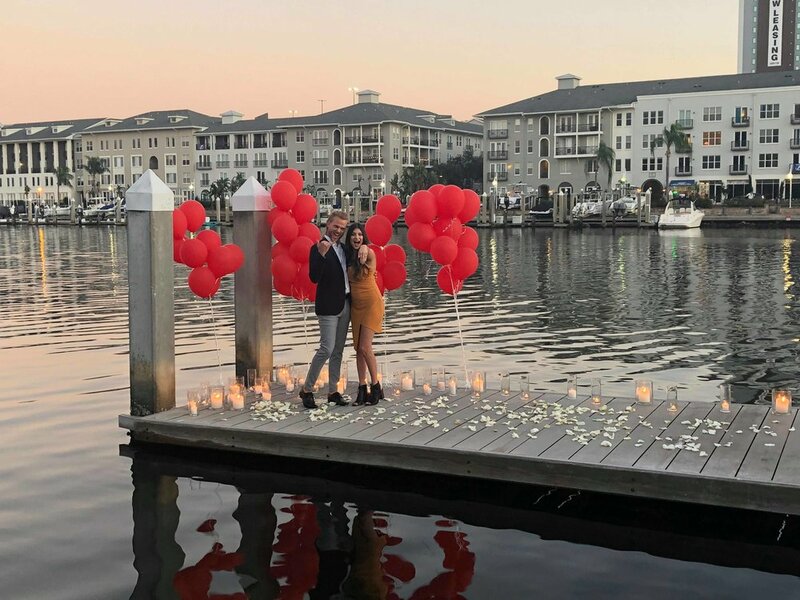 Ben knew that he wanted to propose on the dock that they frequently visit to relive the night they met, but didn't have any other plans for the proposal nailed down yet. That next day we met for the first of many planning sessions to begin to work through the details of the big day; how to get her to the dock and dressed nice, parking, timing, photo and video, engagement photos after and a surprise engagement party to end the night. After our first session a theme and overall vision for the proposal was developed. At the beginning of the week, Ben and photographer Seamus worked together to draft an email from Seamus to Ben & Alessa requesting that they participate in a photoshoot on 11/16 at Fergs for an upcoming publication. The trap was set and Alessa gladly bit the bait and accepted the request to participate in the shoot! 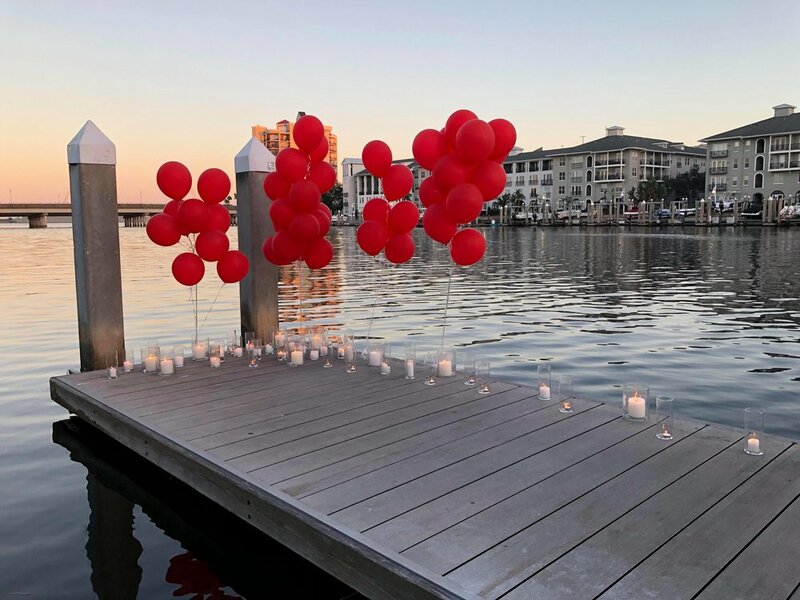 On the big day my sister in law and I made our way downtown to the dock to prep the area with over 50 candles and white rose petals to add to the romantic ambiance of the Florida sunset as well as 50 red balloons to symbolize Ben & Alessa's red balloon tradition. 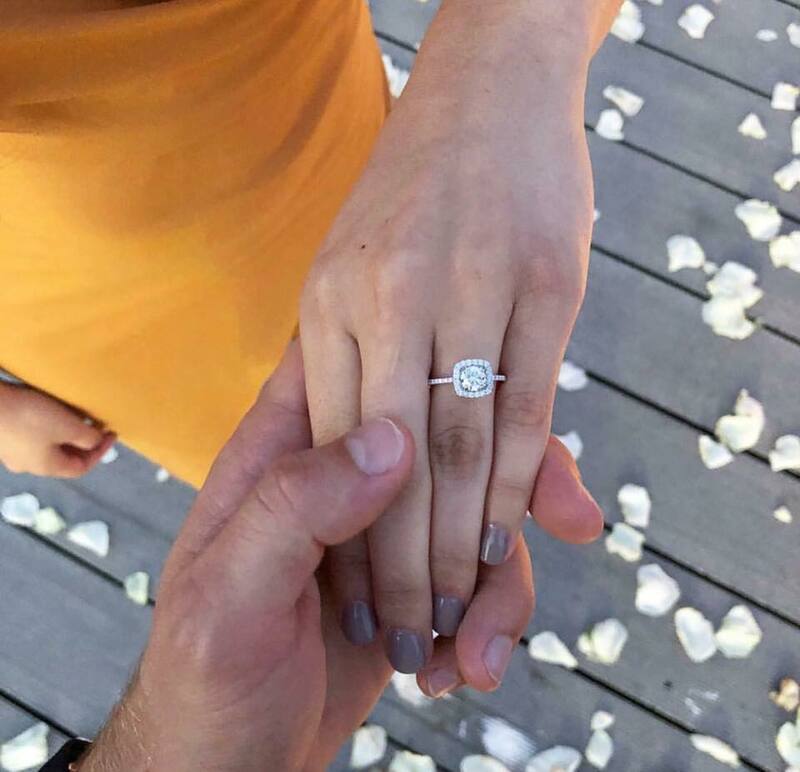 All week I could tell that Ben was rehearsing over and over the steps and timeline we had discussed so many times, but when the time came I reminded him that the way he proposed to Alessa was not nearly as important as the things he said in the moment. That afternoon Ben and Alessa got dressed up and headed downtown for their photoshoot. Seamus "conveniently" called to tell Ben that he was running a few minutes late so Ben made the decision to make a quick "pit stop" to the dock like they had done many times before. With much excitement, photographer Seamus Payne, videographer Freddy Marshall and I hid in the bushes while waiting for Ben and Alessa to arrive at the dock at 5:45- right as the sun was about to set- to witness the big moment as he asked Alessa to spend forever with him as his wife. Throughout the weeks leading up to the engagement Ben shot a series of short clips of Alessa during their everyday lives and compiled them into a surprise video that would be used after the proposal at their engagement party. Trust me when I say there was not a dry eye in the room while the video made its big debeut!